Dr. Lindsay Hove grew up in Stanhope, Iowa, about 60 miles north of the Des Moines Metro area. She attended the University of Iowa and graduated in 2002 with a Bachelor of Science degree in biology. 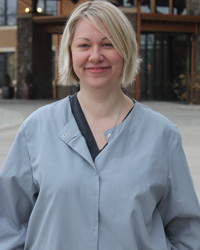 Dr. Hove continued her studies at the University of Iowa College of Dentistry and received a DDS degree. 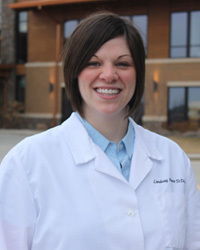 Dr. Hove has practiced dentistry in the greater Des Moines area since she graduated in 2006. Dr. Hove is very excited to be starting this new endeavor at Hove Family Dental. Dr. Hove is a member of the Des Moines District Dental Society, the Iowa Dental Association, and the American Dental Society. She is also active in other community dental education. In her free time, Dr. Hove enjoys spending time with family and friends, spending time outside, biking, snow skiing and Hawkeye football. Dr. Hove is a member of Lutheran Church of Hope in West Des Moines. Christina has been a dental assistant for 5 years and has been with Hove Family Dental since its opening in December 2010. Christina enjoys the fun atmosphere and close relationships that develop in the dental office setting between patients and other coworkers. She has a genuine concern for patient comfort. In her free time, Christina enjoys reading and is always looking for new challenges. Copyright © 2010 Hove Family Dental. All Rights Reserved.